Add some summer fun to your space with the Sunnylife Rainbow Marquee Light. 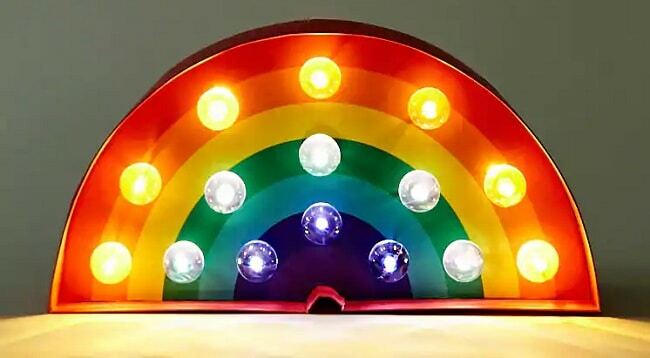 This battery-powered, rainbow-shaped light can be mounted on the wall or displayed on a shelf for a whimsical, twinkling touch. All you need is two AAA batteries to add a little burst of colorful light to any room of the house.